To nobody’s surprise, another week went ahead and poofed out of existence, bringing us closer to the end of the year. Until that happens though, there’s plenty more news left to look through, from games and gaming onesies to different hardware news and the always present updates. 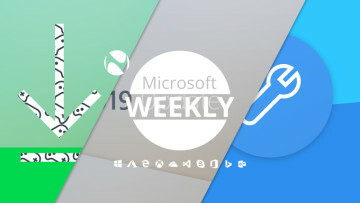 Find all that and a tiny bit extra in your Microsoft digest for the week of November 24-30. Christmas isn’t too far away, so this week’s selection of game updates and announcements should tide folks over nicely until the aforementioned holiday. We start with Shrouded Spoils, the latest free update for Sea of Thieves, which brings in a good helping of gameplay fixes and additions. Weighing in at 3GB for the Xbox One and 4.22GB for PC players on Windows 10, the patch rebalances a number of encounters, adds a ton of customization options to ships, and makes it so loot – which now drops from both the Kraken and Megalodons – glints in the water. That way, you won’t miss any of that valuable treasure you fought for. If you’re a Game Pass subscriber, you should check out The Gardens Between which was just added to the service, and be on the lookout for Mutant Year Zero: Road to Eden and Strange Brigade which will be playable on December 4 and 6, respectively. In other game addition news, the Backward Compatibility list has grown by another three titles. These are Sonic Unleashed, Aliens vs Predator, and Kingdoms of Amalur: Reckoning. On the off chance that you don’t have your original discs, the trio of games is also available to buy outright. Microsoft’s other subscription, Xbox Live Gold, will net you four games this December. For the Xbox One, you can get Q.U.B.E. 2 between December 1-31 and Never Alone from December 16 to January 15. As far as the previous-gen console is concerned, Dragon Age 2 is yours to claim between December 1 – 15, and Mercenaries: Playground of Destruction can also be yours between December 16 – 30. Remember, thanks to Backward Compatibility, the last two titles can also be had on Xbox One. Be sure to go grab Q.U.B.E. 2 and Dragon Age 2 as they’re both now available. Since we mentioned an RPG, we should also acknowledge the existence of an as of yet untitled roleplaying game from newly first-party studio Obisidian. Keep in mind that because this was being developed before the Microsoft acquisition, it isn’t subject to the platform exclusivity (Xbox, Windows 10) we usually see for the in-house projects. The adverts that have been seen poping up on the developer’s site have a hint of BioShock’s Art Nouveau aesthetic, and it’s been speculated that this might in fact be a previously started title dubbed Backspace. Initially developed on Bethesda’s Creation Engine, it was apparently shelved, but the newest iteration of it has kept the space setting. No matter though, as more details are set to be revealed at The Game Awards on December 6. The event starts at 6pm PT / 9pm ET, which is 2AM UTC on Friday, December 7. On the off chance that you’re in the market for mixing and matching consoles and controllers, you’ll be able to use the Xbox Adaptive Controller with the Nintendo Switch. No, it unfortunately isn’t supported natively, but via a third-party adapter. Nevertheless, it’s still cool to see. Finally, earlier this year, Microsoft launched a store specifically dedicated to Xbox merchandise with caps, hoodies, and the like. A particular item of clothing that folks expected to show up was the rather good Xbox Onesie, which was unfortunately missing in action. Earlier this week, Larry Hryb (Major Nelson) announced that you’d be able to buy it on Friday, but that day came and went. As it turns out, a flaw in the manufacturing of the item forced the company to push back the date of availability. A revised ship date is supposedly going to be revealed in “the coming weeks”. 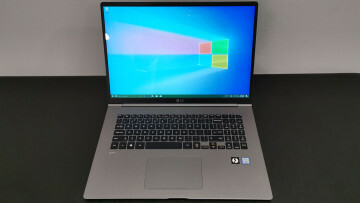 Microsoft has been in the business of making devices for a long time, though specifically focused on peripherals like mice, keyboards and webcams. Even if it got into making its own PCs a mere six years ago, the company isn’t planning on stopping just yet. As you know, the current crop of Surface devices uses Intel chips, something which may change in future iterations. It’s reported that future Surface Laptop devices may offer an AMD-based variant as soon as the fourth quarter of 2019. 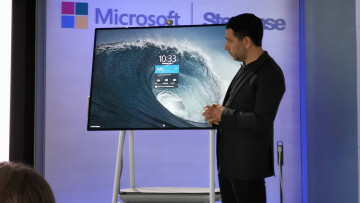 Moreover, the company is also supposedly working on a modular version of its 28-inch all-in-one, the Studio. Who knows, that might even mean we get to buy a standalone Surface monitor, something which folks have been asking for since the unveiling of the first-gen Studio. Moving on to other devices, the Surface Book 2’s base model – Core i5, 8GB RAM, 128GB storage – has now been axed in favour of the one that came before it, with similar specs and double the storage space. As before, the model will set you back $1,499 compared to the 128GB, $1,199 variant. According to the same report in the paragraph above, the Surface Book may see a refresh in the first quarter of next year (complete with the possible disappearance of the infamous gap), so you might even be able to grab the device at a lower price point if you wait a bit longer. As redesigns have been mentioned, the Surface Pro 7 will have a design refresh of its own – likely arriving mid-2019 -, with Microsoft going as far as reworking the Type Cover too. The new cover is said to be thinner, though it’s not clear if this means as thin as the Touch Cover that launched with the original Surface products. It’s not too much of stretch to think that perhaps the cover on the Surface Go is an indication of how things will unfold. Let’s just hope the implementation isn’t quite as middle of the road in terms of quality as the Surface Go itself, according to our own Rich Woods. If you are a fan of Microsoft’s hardware though and reside in the UK, you might want to take a look at the Surface Headphones, which are now available at the Microsoft Store, John Lewis, and Currys PC World for £329. Now, in a bit of a Black Mirror-y twist, Microsoft has been awarded a contract by the U.S. Army worth around $480 million. The contract is specifically centered on the HoloLens, and could see the Redmond-based firm ship around 100,000 units for use in the Army. The latter will incorporate night vision and thermal sensors in the AR headset, as well as the ability to measure vital signs and detect concussions. Last but not least, Microsoft has patented a multi-camera system for a foldable device, something which is going to do nothing but stoke the fire in terms of Andromeda rumors. The ever-elusive Courier mark 2 was believed to have been shelved – much like its predecessor –, but a number of leaks seem to be pointing in the opposite direction. Initially meant to launch this year, the device was pushed back due to the software not being on par with what Microsoft wanted to offer. This presumably also gives the firm more time to refine the hardware as well. Don’t get your hopes up though, as given the phrasing, Andromeda isn’t likely to see the light of day anytime soon. Much like every week these days, it’s time for some updates. Products big and small, more instantly recognizable or even somewhat forgotten were given a nice polish these past seven days. April 2018 Update (1803): KB4467682, build 17134.441 – addresses a number of Office-related issues from Immersive Reader bugs to dictionary issues, as well as fixing issues with Russian and Moroccan daylight standard time, bugs with Application Guard and certain antivirus errors, the Even Tracing for Windows, BSODs when running disk benchmark software, the key management issues for Server 2019 and 1809 LTSC, the inability to set Win32 programs as defaults, and the inability to connect to older devices via Wi-Fi. Fall Creators Update (1709): KB4467681, build 16299.820 – addresses the majority of the issues described above, as well as bugs with ActiveX controls in IE11 and a Universal CRT issue on AMD64-specific FMOD implementations. Creators Update (1703) Enterprise & Education SKUs: KB4467699, build 15063.1478 – fixes a small subset of the issues above, specifically those related to the time zones, Universal CRT, ActiveX controls, and certain Calendar issues. Anniversary Update (1607) Enterprise & Education SKUs, Server 2016: KB4467684, build 14393.2639 – a subset of the issues described above can be found in this changelog, as well as some Server 2016-specific fixes like issues with Hyper-V and Just Enough Administration. All of the versions above have two known issues. First is the same SqlConnection exception that shows up if you install the August Preview of Quality Rollup or September 11 2018 .NET Framework update, an issue which is still being worked on. The other one is an issue with Windows Media Player which prevents folks from seeing the Seek Bar. And yes, it’s present in 1809 too. Speaking of the ever-buggy 1809, there is some good news, as folks in the Release Preview ring have gotten a hefty patch. KB4469342, which bumps the build number up to 17763.167, fixes a bunch of issues with the drag-and-drop feature in Edge, performance in IE, display settings, devices waking up from sleep, Bluetooth headsets, Microsoft Intune, network interface cards, the registry editor, the inability to set Win32 app defaults, and the mapped drives issue. Given the update’s rocky start, it’s no wonder only 2.8% of PCs are running it, but these bugs being addressed is good news. Over in the Insider Preview section, development of 19H1 is chugging along nicely with build 18290 making its way to testers. Along with the Microsoft To-Do integration in Mail & Calendar version 11001.20106, you can now manually sync your clock to the time server, see which app is using your microphone, the Search and Cortana ‘experiences’ have been refreshed, Windows Update will now have an icon with an orange indicator in the system tray if you need to restart your system, and the different power options from the Start Menu now have icons to be more easily identifiable. There are of course fixes and bugs to be aware of, chief among which is the fact that PDFs opened in Edge now display correctly, icons redraw properly, the system will no longer consume high amounts of CPU when enumerating Bluetooth devices, Remote Desktop now works as intended, the Narrator compatibility with Chrome has been enhanced, the Magnifier tool has improved performance, and the "Unavailable input method” error is no more. Of course, there are some issues as well, like hyperlink colours being a little odd in Dark Mode Sticky Notes, Settings crashing after you change your password or PIN, when clicking “View storage usage on other drives”, and when opening Speech Settings, as well as Windows Security showing an unknown status for Virus & treat protection. Furthermore, this build is blocked on PCs with Nuvoton TPM chips with hardware version 1.3.0.1 due to a bug that causes issues with the biometric login options offered in Windows. Switching over to the company’s Office 365 productivity suite, we see things like Word being able to keep track of to-dos – a feature currently available to Office for Mac Insiders -, To-Do integration with Outlook.com coming soon, as well as an easier way to log into the service if you have a work or school account. There’s also a quiet hours feature coming to Teams on mobile, Editor which will fix awkward phrasings in PowerPoint (using AI, of course), and Microsoft Forms integration with PowerPoint. The latter is available now. 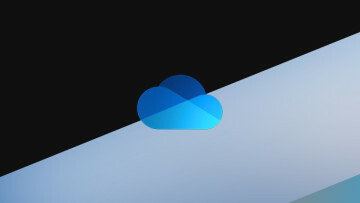 Another service that Microsoft views as part of its Office suite is OneDrive, which is set to get an option for users to block downloads or their shared files. Furthermore, there will also be the ability to stop users from copying it or the text within, as well as pasting said text and printing it. The MyAnalytics feature has been improved, and Camera Upload for OneDrove for Business on Android devices is now generally available. Last but not least, a surprising entry into this section is constituted by the Office Mobile apps for Windows 10. Despite the company’s statement that it would focus on the iOS and Android equivalents only, there’s apparently an update available for these same applications on Microsoft’s main platform. True, the only thing new seems to be a radial colour picker for ink users, but it’s a welcome addition nonetheless. It’s currently being A/B tested and activated server side, so it might not show up for you immediately. Microsoft was briefly the world’s most valuable company. OneDrive technical documentation is moving to Microsoft Docs. Pickit Office 365 allows you to combine stock images and company assets. 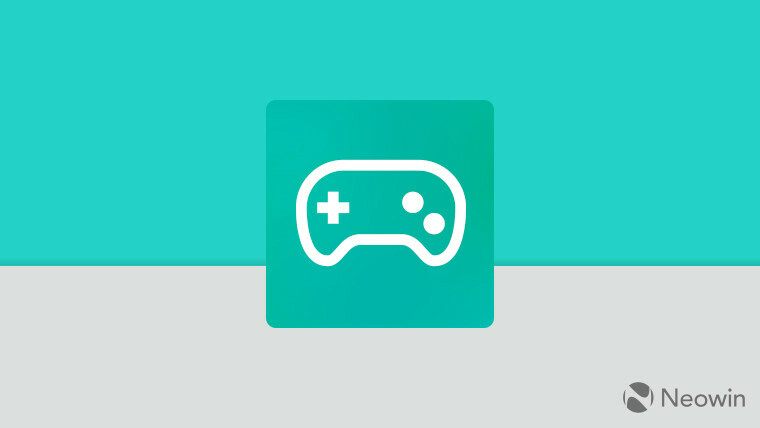 SwiftKey for Android now has native Bing search support. Microsoft and Intent Lab have partnered to combine AI and Bing for use in marketing. Sticky Notes 3.1 has started rolling out to users running Windows 10 1809 or higher. Intel now has Modern Drivers specifically optimized for Windows 10 UWP apps and Server 2019. The Office Online Server November 2018 Update is now available. Between January 7-11 2019, Microsoft will host a Modern Workplace Transformation virtual conference aimed at Healthcare & Life Sciences. Update 1810 for Configuration Manager has now been made available. There’s now a Teams Adoption Hub to help guide companies’ adoption of Microsoft’s Slack competitor. The Azure Dedicated Hardware Security Module service is now available in the East US, West US, South Central US, East US2, Southeast Asia, East Asia, West Europe and North Europe regions. We end with a bit of a refresh in the icon design department for Office 365. Folks familiar with Microsoft’s productivity suite also know that the icons for its different apps have changed over the years. The boxy Office 2000 and 2003 ones gave way to the more round iterations in 2007 and 2010, which then were supplanted by the 2013 redesign. 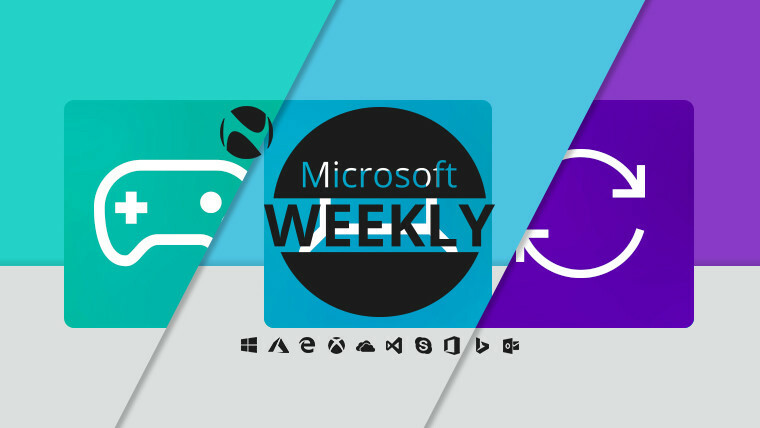 Now, five years later, leveraging the company’s newest Metro Modern Fluent Design System, the icons are getting a new coat of paint. As opposed to the previous iterations, the ratio of letter to symbol has changed, with the latter taking up more space now. 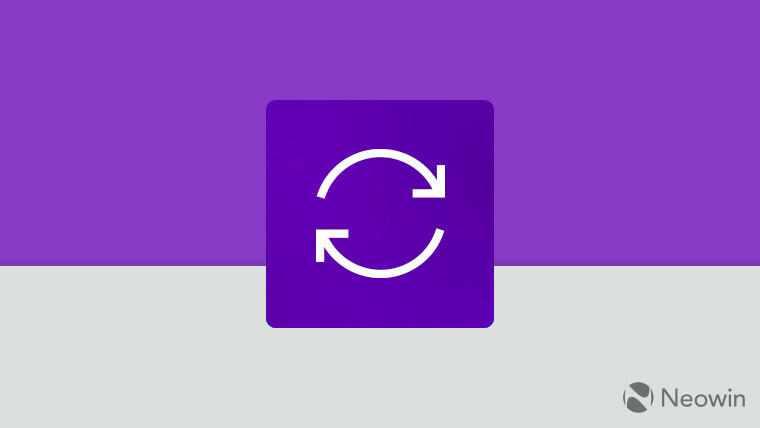 According to the company, this will make the apps more instantly recognizable, despite half of them sharing the dominant colour. 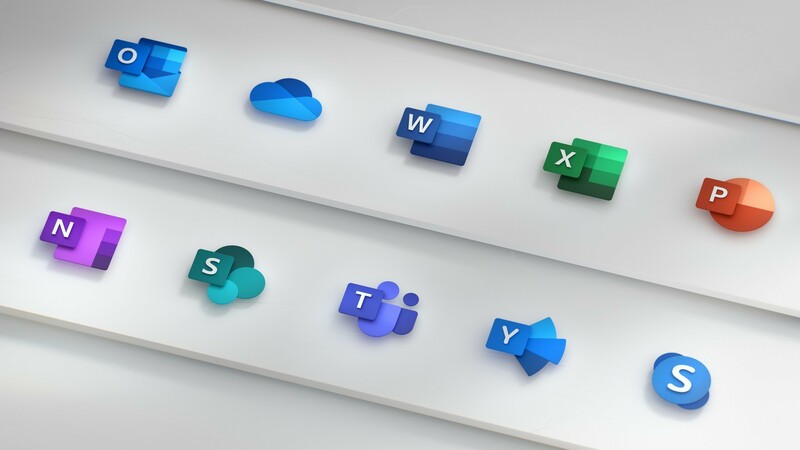 While just Outlook, OneDrive, Word, Excel, PowerPoint, SharePoint, Teams, Yammer, Skype and OneNote are shown off, presumably all Office-related products will receive this makeover. 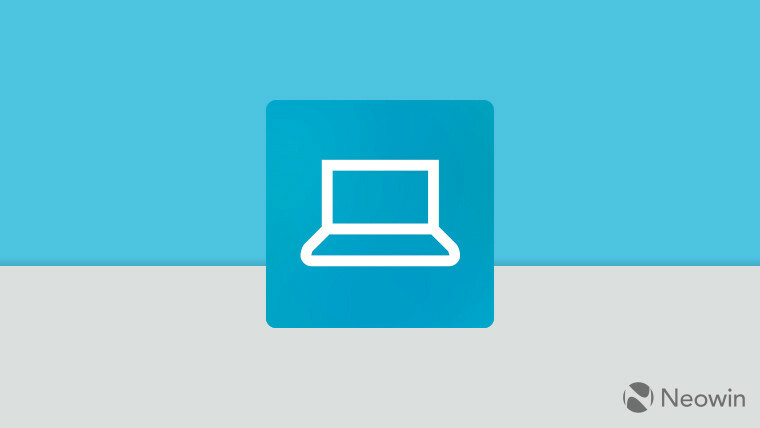 The presentation video accompanying these new icons also hints at the eventual adoption of this style by the icon set in Windows 10.